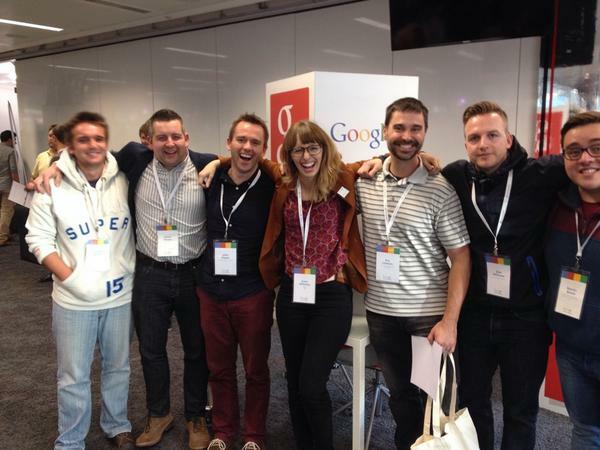 As some of you might already know, I was fortunate enough to be selected to attend the Google Teachers Academy in London (#GTAUK) at the end of last month. This was a huge honor for me as thousands applied and only 50 people world wide were selected to attend. The process, the experience and the accolades made all of the hard work well worth it. I would suggest anyone that is interested in applying to do so, but there is a lot of work to get there. I have included "Steps to Applying to GTA" section at the bottom of this article if anyone is interested in applying. It is hard to put into words the experiences that I walked away with from my trip across the pond, both visiting the city of London and attending the Google Teachers Academy. To try to sum it all up in one sentence, I would say it was truly the highlight of my career. What is GTA all about anyhow? The GTA two-day agenda and focus has changed since its conception. In prior years, the academy focused on Google tools for education and was presented in more of an "app slam" fashion. Googlers would present new tools, add-ons and features in a fast paced entertaining way, while everyone frantically took notes on their favorites. Past attendees equated this type of learning like trying to drink from a fire hose. 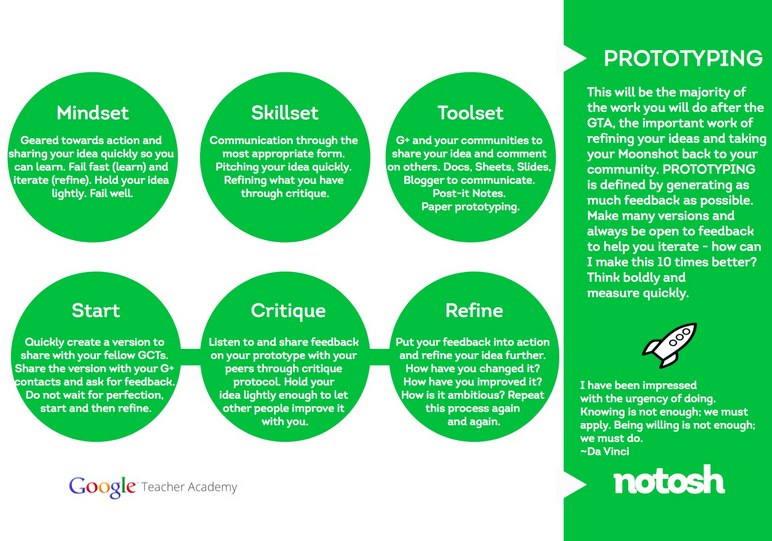 GTAUK was the second run academy to use the new iteration and format. 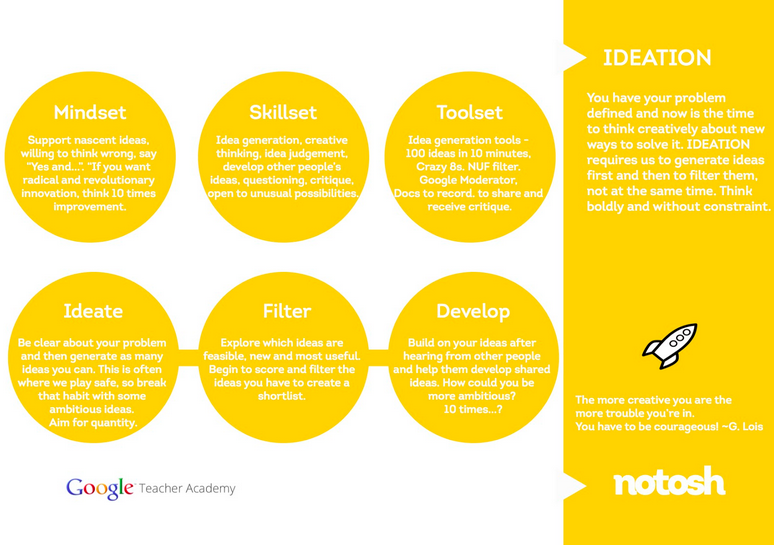 In this version of the Google Teachers Academy, the education design team NoTosh, headed up by Ewan McIntosh, organized and mapped out the event which focused more on developing moonshot thinking to solve real world problems. We were first split up into collaborative groups and used Google Hangouts even prior to the actual academy to conduct introductions and to highlight some issues that we were finding in common with each other even within our differing educational backgrounds. Using hard evidence, observations and research, we pulled together three online meetings in the two short weeks prior to arriving in London to organize our findings and plan for our two day workshop. My team, #TeamAquarius, found that within each of our differing schools one of our common frustrations was that students use a great deal of tech outside of the classroom and have honed their skills with things like publishing media, organizing digital information and contributing to social networks. On the other hand, teachers as a whole do not possess these skills and therefore there is a real disconnect between skill sets of students and staff. We all came to the understanding that bridging this gap and offering both teachers and students the expertise in skills and ethics with using these digital tools would increase classroom engagement and quality of work within school. During the two day workshop (12 hours the first day and 7.5 hours the second day) we were asked to use a variety of lenses to look at our problem from many different angles. Several times throughout different exercises, discussions and feedback from other professionals within the room, asked us to zoom in-and-out of our problem, which forced us to think long and hard about possible solutions that may lead up to a Moonshot idea. Of course arriving at a collaborative moonshot idea came through a long process and was redesigned several times through out the four phases that Ewan McIntosh presented; Immersion, Synthesis, Ideation and Prototyping. Within the Immersion phase we took an objective eye towards our problem as well as other team's issues and provided constructive feedback to properly phrase our problem. 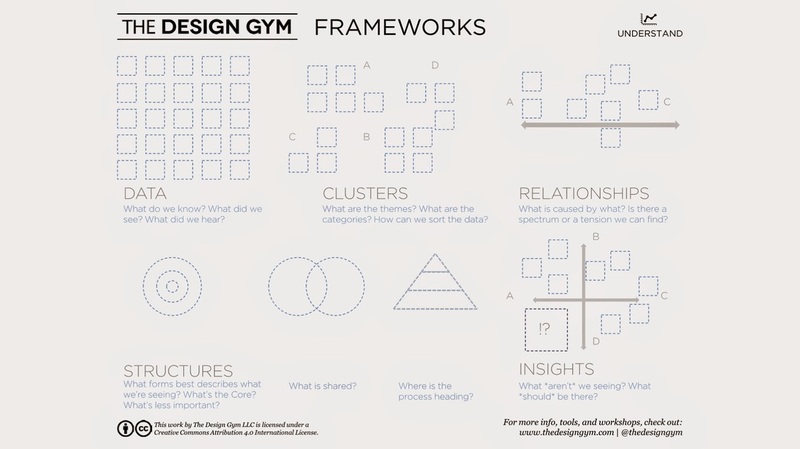 Within the next phase, Synthesis, we began to cluster and sort our data to see our work from a different lense to observe how everything is connected. We used different graphic organizes to sort the data and worked toward constructing our How Might We... questions to solve our problem. Graphic organizers used to sort the data in order to construct a How Might We... questions to answer. In the third phase, Ideation, we were asked to brainstorm as many solutions as possible, no matter how silly or far out we thought they might be. Then within our group, and with feedback from other groups, we boiled down all of our ideas to just a few and labeled them as "Darlings", "Safe Bets" or "Moonshots". Ewan urged us to to think about growth mind set, so that within these exercises it is important to go as far as you can with brainstorming ideas, and then with just a little time left see if you can stretch the ideas and provide just a few more suggestions no matter how silly they may seem at the time. Only then can you open your mind to more possibilities. In the final stage of our process, Prototyping, we were asked to find our true Moonshot idea that could either solve the problem or take a huge step in the right direction. We then needed to pitch this idea to the group to see which prototype would be worthy for Google to fund. Within the 30 minutes, bookended around lunch time, our team came up with this pitch for a single day of online PD all over the world in which both students and teachers offered 1 hour sessions on a skill they were confident in, and signing up to attend 4 to 5 courses that they could use more experience with and learn something new. 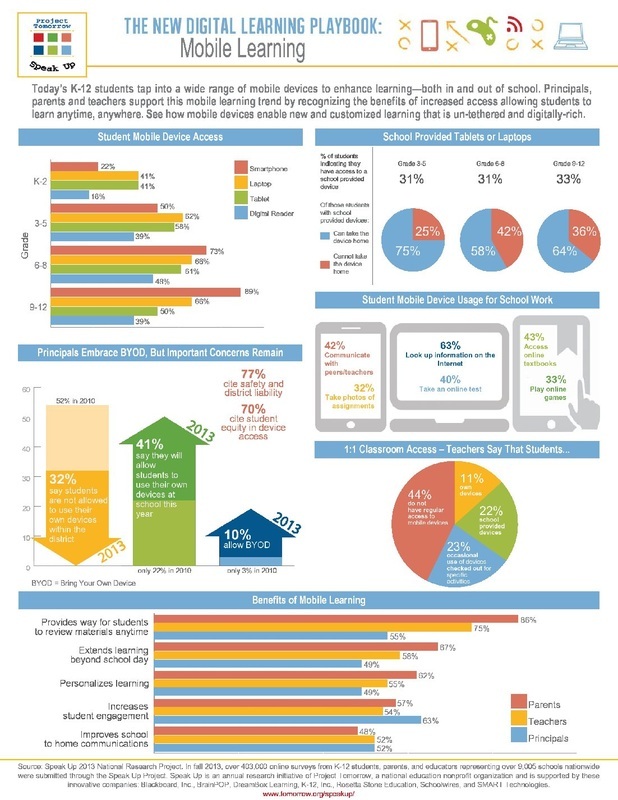 We received a lot of great feedback from the rest of the GTA community, both online and face-to-face as educators could really see how something like this would help to connect tech use in our every day lives and tech use within school. I could have not asked for a better collaborative group to work with, or leaders that organized the event and kept us extremely focused over the long two adventure that is Google Teacher Academy. Step inside the quirky and amazing Google headquarters in London. It is recommended, but not necessary, to work through the online training lessons and take the online tests to prove your mastery level on the Google Certified Educator site. In order to earn your Certified Google Educator Certificate, you must pass five online Google exams.The four required exam topics are Gmail, Calendar, Docs & Drive, and Sites. After completing these four exams, an elective test must be chosen to complete the fifth required exam. The elective topics include Chrome Browser, Chromebooks, and Tablets with Google Play for Education. Upon passing all four required online exams and one elective online exam, a certificate of Google Certified Educator will be awarded for 18 months (Lessons are currently being reconstructed and revised). After that time period, additional testing is required in order to maintain recertification. The Google Certified Educator status is a portion of the Google Teacher's Academy application. As a side note, it is also important to be well versed in social media prior to immediately applying to the Google Teacher Academy. Both Google+ and Twitter accounts are required for the application to Google Teacher Academy. This helps application reviewers find people that are promoting good use of Google products in education. It is important to look into all of the requirements for the application, and I'd even suggest copying the questions onto a Google Doc prior to actually applying online to give yourself some time to think through your responses. For instance, the application for Google Teachers Academy in London required many essays, and a short inspirational video. This was not the case for the Mountain View (Google's worldwide headquarters in California) application. We know teachers work incredibly hard to meet the needs of their students and we want to help. 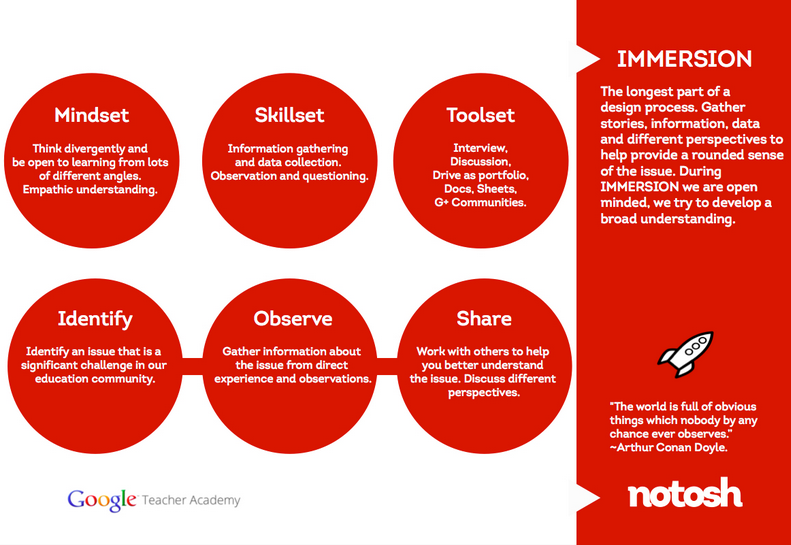 With Storyboard That we offer three kinds of teacher resources which are common core aligned to help you get the most out of Storyboard That. Magically transform your videos and photos. Magisto turns your everyday videos and photos into exciting, memorable movies you'll want to watch again and again. Help Leo learn to spell through interactive fun and exciting games. WHAT YOU’RE GOING TO MAKE: An animated yeti who will then perform the show of a lifetime. HOW YOU’RE GOING TO MAKE IT: Using the Blockly programming language, you’ll customize your yeti and add actions. Visualizing Emancipation is a map of slavery’s end during the American Civil War. It finds patterns in the collapse of southern slavery, mapping the interactions between federal policies, armies in the field, and the actions of enslaved men and women on countless farms and city blocks. It encourages scholars, students, and the public to examine the wartime end of slavery in place, allowing a rigorously geographic perspective on emancipation in the United States. Built on everything we learned from Gmail, Inbox is a fresh start that goes beyond email to help you get back to what matters. If you’re using Gmail or Google Apps, chances are you are spending a majority of your day inside of your inbox. We’ve posted a lot of tips about how you can cut down on the time you spend in there, but what if you want to go the opposite direction? To give you even more flexibility and options, we’re introducing add-ons for Forms—new tools, created by developer partners, that deliver even more features to your surveys (just like add-ons for Docs and Sheets). The new Add-ons feature for Docs and Sheets makes it really easy to bring some advanced functionality, or just some missing features, to your most important Drive files. This self-paced, online course is intended for anyone - of any technical skill level - hoping to use Google's educational tools in the classroom. Through videos, use-cases, and examples you'll get ideas about how to bring Google for Education (including Google Apps for Education with classroom, Google Maps and more) into your teaching. EMPLOYERS WANT "CRITICAL THINKERS," BUT DO THEY KNOW WHAT IT MEANS? “Critical thinking.” It’s a phrase as vague as “results-oriented individual” or “problem-solver.” Companies call for job applicants that are both worker bees and world-class innovators, prepared to paint outside the lines--but only in the brand’s monochromatic colors. 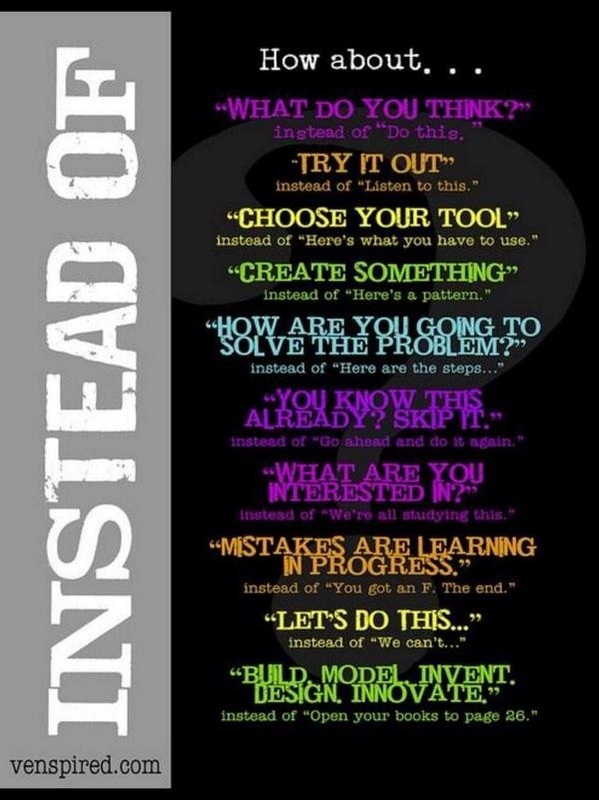 Here are five educational buzzwords that I think have outlived their usefulness. It’s not that the core concepts themselves are bad, but rather that the term has been overused, overhyped, or we’ve just simply moved on. For the Google Generation, information isn’t scarce, and knowing has the illusion of only being a search away. 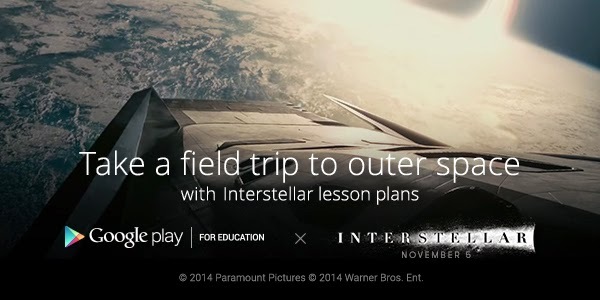 We worked with Google Certified Teachers to create lesson plans for middle and high school classrooms around INTERSTELLAR, a new movie from Christopher Nolan that explores topics from climate change to space travel to the theory of relativity.